Description CLEAN CARFAX. 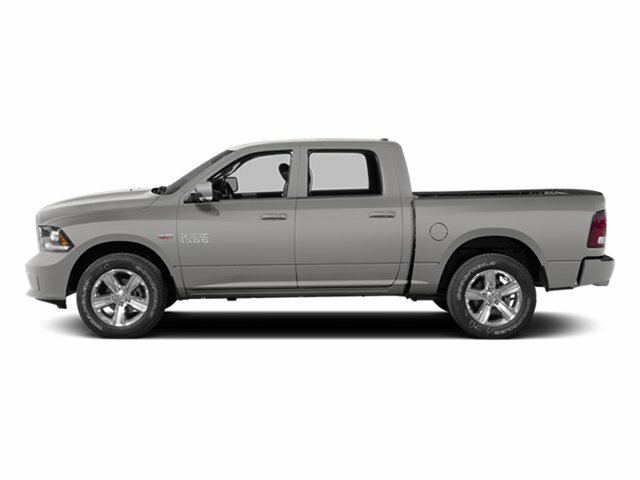 2014 Ram 1500 Laramie Crew Cab 4x4 in Bright Silver Metallic Clear Coat with Black Leather. 3.0-Liter V6 EcoDiesel Engine, 8-Speed TorqueFlite 8HP70 Automatic Transmission. Odometer is 6,283 miles below market average! 19/27 City/Highway MPG. Motor Trend Automobiles of the Year. CALL STEPHEN WADE TOYOTA: 435-634-6521. Power Sunroof. 4-Corner Air Suspension. Uconnect 8.4AN AM/FM/BT/ACCESS. Premium Navigation. Single Disc Remote CD Player. SiriusXM Travel Link Capable. ParkSense Front / Rear Park Assist System. Engine Block Heater. Protection Group. Convenience Group. Anti-Spin Differential Rear Axle. Remote Start System. Trailer Brake Control. Spray-In Bedliner. | At Stephen Wade Toyota, we do more to insure we offer the most mechanically sound pre-owned vehicles with maintenance that is up to date. Our recent quality assurance inspection, state inspection and recommended maintenance update on this Ram 1500 Laramie also included an engine oil, filter and drain plug gasket replacement, check/adjust fluid levels, battery test, replaced engine air filter, replaced driver outside rearview mirror glass, replaced front brake pads, and a four wheel alignment check - a $1,246.27 value. We also use advanced software to shop the automotive marketplace nationwide everyday. This allows us to competitively offer you the best value you can find anywhere. Contact our knowledgeable Internet sales team at Stephen Wade Toyota for a priority test drive, or for any information that would be helpful: 435-634-6521. You have it made at Stephen Wade!